Door County Rock Island Kayaking Postcard | Christopher Arndt Postcard Co. 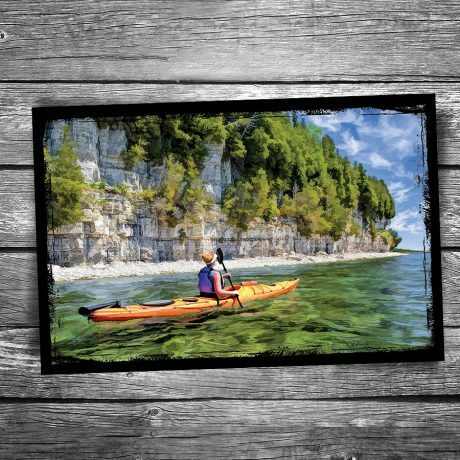 The sheer exposed dolomite rock cliffs of Rock Island State Park are part of the Niagara Escarpment rock extending from New York, through Niagara Falls, and forming the shape of the Door County Peninsula. © Christopher Arndt Images. All rights reserved. Derivative work based on original photograph by Tim Sweet. Used by permission. 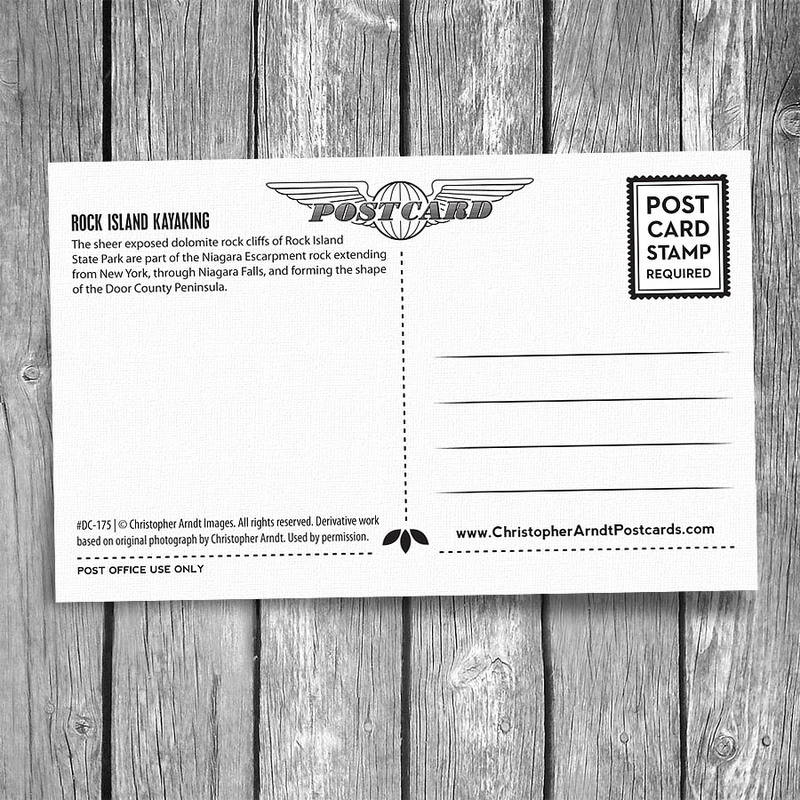 Signup for our weekly newsletter to learn when new postcards are added.